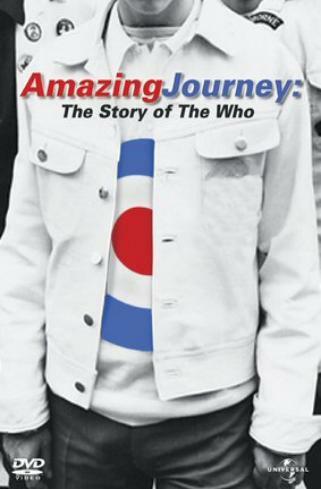 From the makers of acclaimed documentary films 'Riding Giants' and 'Dogtown And Z-Boys' comes "Amazing Journey: The Story Of The Who," the authorized portrait of the defining live act in popular music history, told in their own words. 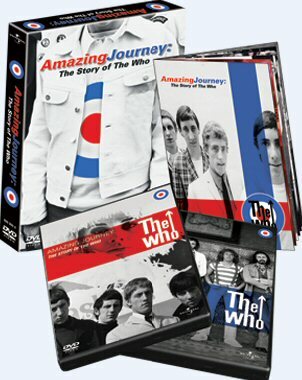 Discover in this two disc DVD set how four diverse Londoners - Roger Daltrey, Pete Townshend, John Entwistle and Keith Moon - combined to create their own style of rock music, built a dedicated fan base the world over, and how The Who has survived at the top for over forty amazing years. Crammed with masses of never-seen-before footage, rare concert performances, and exclusive interviews in which the band and those close to the band share their thoughts and memories of The Who, their music, and their history. From their roots as a 1960s pub cover band, through all the fascinating ups and downs, twists and turns, stops and starts, successes and failures, follow them as they evolve through four decades of rock.